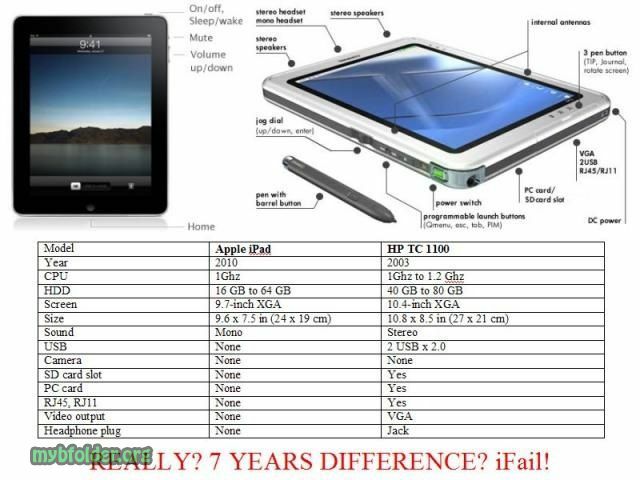 As Android and Windows tablet pc’s take over the market its always fun to look back at how bad Apple’s technology for price is. Ha! That is pretty funny…..and sadly true! 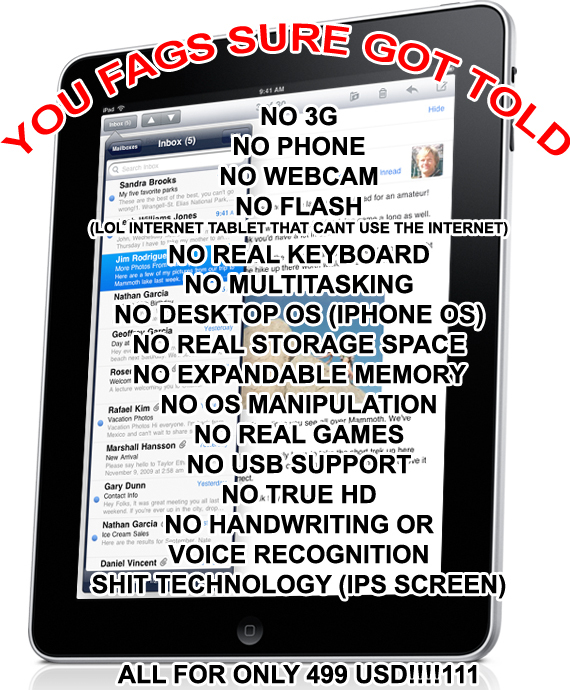 People who love Apple products ignore stuff like that. If Steve Jobs tells them they should not use Flash – they wont use flash. Maybe the ideology will change now that he isn’t around anymore.